Assist Pittsburgh Brewing Company with transforming public perception and increasing brand awareness after new ownership transition. Näkturnal developed a music marketing platform, Iron City Sound, to assist in re-establishing Pittsburgh Brewing Company’s support of the region. 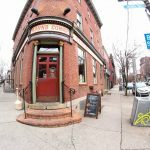 The platform consists of two main components to support Pittsburgh’s thriving music scene: Sponsoring several music events each month and sponsoring local up and coming musicians, or Sound Ambassadors. Iron City Sound fosters the advancement of local musicians, spotlights regional and national music acts in Pittsburgh and blends our hometown music culture and Iron City Beer into one mighty, satisfying groove. Researched appropriate events and venues to partner with, assuring a variety of music genres and venues are represented each month. Handled venue and event promoter correspondence including securing a product special, managing sponsorship and product donation, and assisting with event promotions. Hired, trained and managed brand ambassadors to represent the brand on site and execute product sampling, market research surveys, and collateral distribution. Managed and designed brand ambassador uniforms, with the goal of diverging from traditional beer ambassador aesthetics. Managed collateral copywriting, design, ordering, and distribution. Photographic documentation of promotions which were shared on social networks. Developed relationships between the company and venues to assist in expanding company’s distribution. Managed ambassadors’ responsibilities including social network promotions, event sponsorship, and product placement. Booked ambassadors for Iron City Sound events. Developed, executed, and promoted the Iron City Sound Contest, during which an additional sound ambassador was chosen. 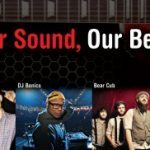 The Iron City Sound Contest encouraged local Pittsburgh musicians to apply to become the newest sound ambassador. After a four week submission period, the top applicants were announced, and the public voted online for two weeks to determine the winner. The winner received a $5,000 sponsorship to support their musical endeavors and became a part of the Iron City Sound Program. As a result of the Iron City Sound campaign, Pittsburgh Brewing Company increased local distribution, saw an increase in sales for the primary brands, and received over 1.5 million on site and online impressions.